At 14mil, the Remo Ambassador X14 is thicker than both the regular Ambassador, and the Ambassador X. 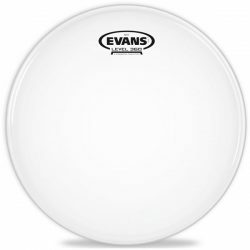 It pushes the warmer midrange tones further, while retaining the responsiveness of a 1-ply drumhead. The Ambassador X14 is a great choice for a sensitive, durable, and versatile snare drum head. 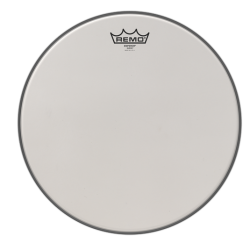 The Remo Ambassador X14 is made with a single ply of 14mil film, and a coated top layer. This is the warmest and most durable Ambassador available, thicker than both the 12mil Coated Ambassador X, and the regular 10mil Coated Remo Ambassador. While less bright than the others, the Remo Ambassador X14 still retains a lot of the Ambassador’s responsiveness, and gives a nice amount of moderate sustain. The top coated layer provides a responsive surface for brushes, and helps to control some of the higher frequency ringing. In terms of sound, the Remo Ambassador X14 has a good attack followed by a balanced to warm sustain. The thick single ply allows for harder hitting, meaning you can get a strong attack for when things get louder. The sustain falls on the balanced to warmer side of the sound spectrum, and remains moderately strong thanks to the single ply construction. The coating on the Remo Ambassador X14 helps to reduce higher pitch ringing overtones, and controls the sound slightly. Overtones are still present however, allowing for some extra colour in your drum sound (especially when hit around the edge). Overall, this is a versatile drumhead – leave it open for more sustain, or add dampening (such as Moongel) to control things. 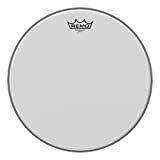 The thick single ply design makes the Remo Ambassador X14 usable at most volume levels, and across a wide range of music styles. 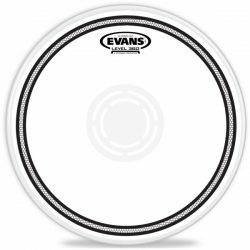 This drumhead can give a bigger attack which is perfect for medium and higher volumes of drumming. At lower volumes, the Ambassador X14 is also quite sensitive thanks to the single ply construction. This again makes the X14 Coated a versatile option, and great choice if you need a snare drum head that can be played across a range of musical styles. The Remo Ambassador X14 is an excellent middle ground, and a versatile drumhead choice. 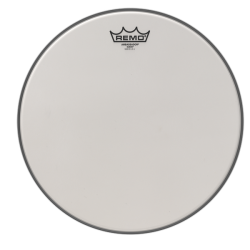 If you need a sensitive yet durable snare drum head, the Remo Ambassador X14 is for you. 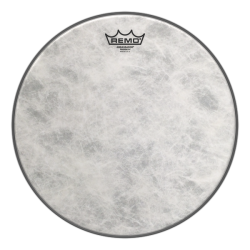 This drumhead has the responsiveness and character of a thinner head, with added attack, warmth, and durability. The Remo Ambassador X14 is designed for snare drums, and is available in 13″ and 14″ options. This drumhead is sometimes hard to find!